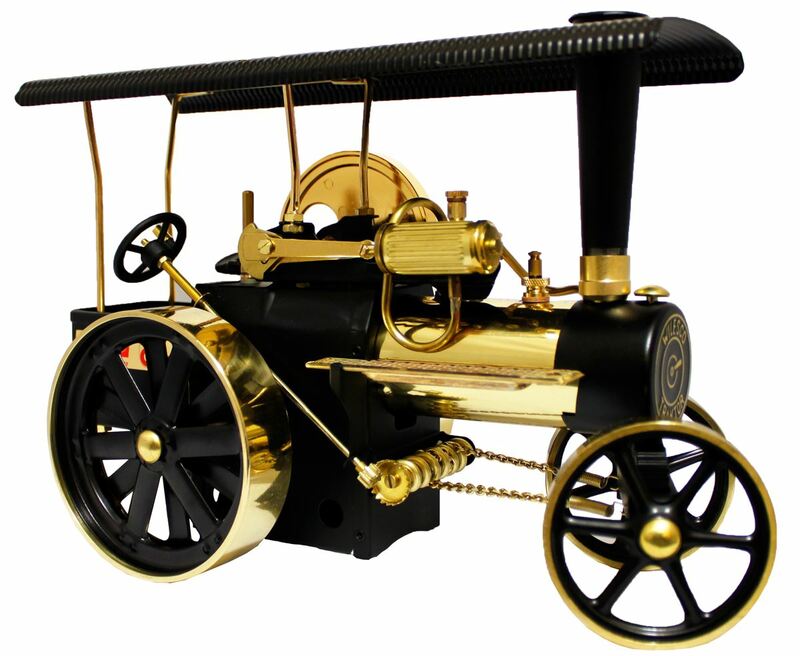 This is a superbly realistic model of an early steam traction engine. Open the boiler valve and use the supplied funnel to pore in some water. Put the valve back on. Place a couple of the solid fuel tablets (supplied) into the burner, light with a match and insert under the boiler. Wait a while for the boiler to build up steam. Give the steam whistle a little toot to see if the pressure is up. Then use the control lever to burst the engine into life. Drive belt can be removed to allow the engine to idle or power some apparatus. 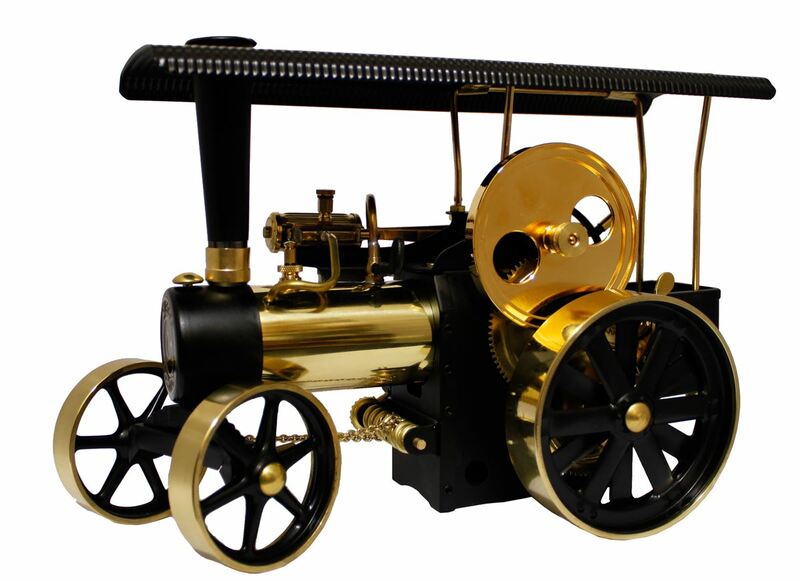 A wonderful live steam model. 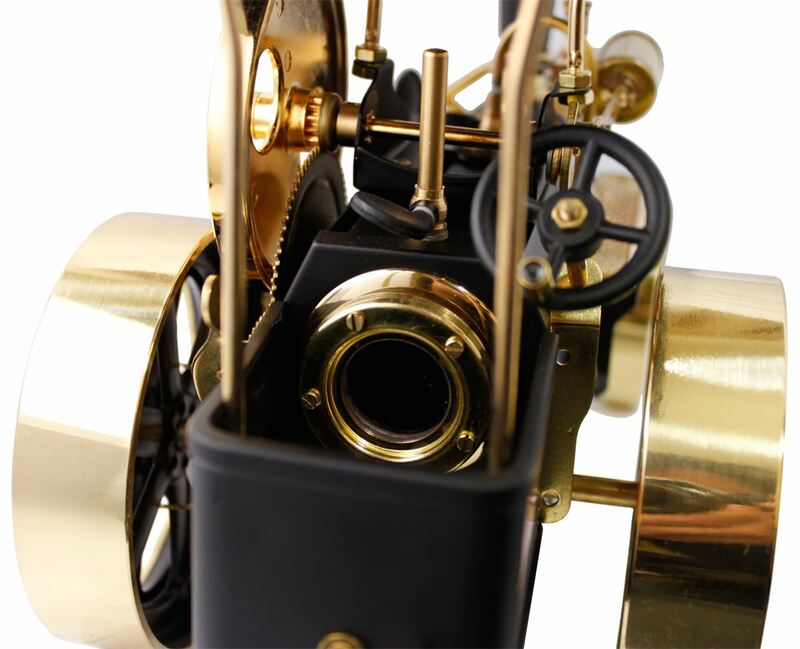 This brass model can be upgraded so it is radio controlled. See our radio control it.